At Ibnsina Pharma, we rely on our team’s market expertise and rigorous ongoing research to identify and meet customer needs. All of our branches are open 15 hours a day and operate two shifts to provide customers with increased access to our team and ensure rapid response to all inquiries. 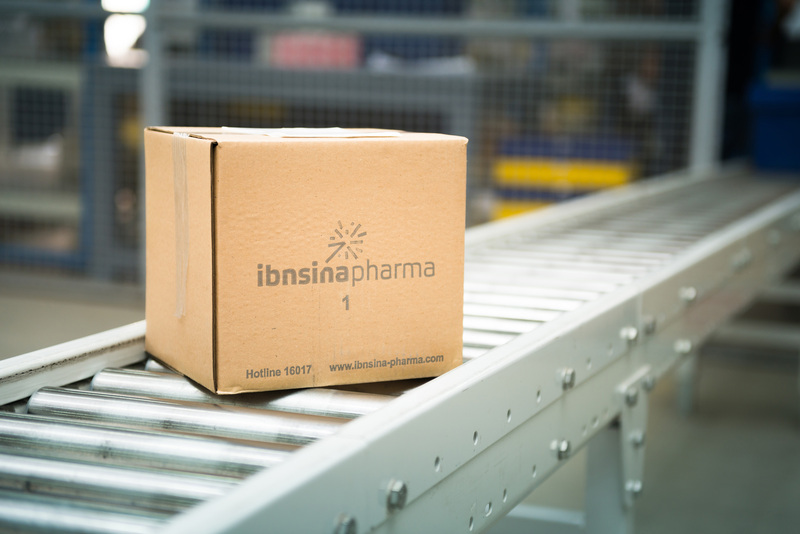 Ibnsina Pharma’s core service is the distribution of pharmaceutical and cosmetics products from hundreds of manufacturers and suppliers to pharmacies and hospitals nationwide. We deftly manage logistics, inventory and delivery operations to ensure customer satisfaction — and manufacturer peace of mind. From supplier to warehouse to final destination, we guarantee the safe storage and delivery of temperature-sensitive products. Ibnsina Pharma’s employees receive extensive training in how to monitor temperature and take meaningful action to prevent product damage. Our team diligently manages all of the tasks required to prepare, store, transport and monitor these products, ensuring that they are kept in optimal conditions. Our dedicated sales team works with suppliers to understand their needs, target clients with specific promotions and launch new products. Target audiences for products and promotions can be selected based on geography and other characteristics identified by the supplier and our sales team. We carefully monitor the success of telesales initiatives according to suppliers’ metrics or our own internal key performance indicators. In recent years, Ibnsina Pharma expanded its portfolio and become an official importer of various pharmaceutical products and medical devices. We collaborate with multinational organizations and major pharmaceutical companies worldwide to import safe, high-quality patented products. At Ibnsina Pharma, we go above and beyond to improve our suppliers’ bottom lines by helping to manage their brands and promote their products. Our marketing and sales teams work closely with their peers in our supplier companies to set marketing objectives and develop strategies for brand promotion. We use a variety of dynamic advertising tools to design and execute innovative marketing campaigns. Ibnsina Pharma offers an effective distribution model that generates value and increases return on sales to a supplier network of more than 350 public, private and multinational pharmaceutical production companies in Egypt. With our carefully managed, state-of-the-art transportation system, we guarantee nationwide distribution of suppliers’ products to retail pharmacies, wholesalers and hospitals. Ibnsina Pharma is more than just a delivery service; we also offer our suppliers a variety of value-added services that make us the first choice among our competitors. In recent years, Ibnsina Pharma expanded its portfolio and become an official importer of various pharmaceutical products and medical devices. We collaborate with multinational organizations and major pharmaceutical companies worldwide to import safe, high-quality patented products. Our team is constantly pursuing new partnerships with reputable international suppliers to further meet demand in the Egyptian pharmaceuticals market and ensure that people have access to the products they need to thrive.